AnyLog is a decentralized network to manage IoT data. AnyLog replaces cloud and backend centralized databases with peer-to-peer processes and blockchain technologies to create a scalable, real-time, highly available and cost-effective platform to manage IoT data. Data owners are incentivized to use the network as they can manage their data in real time at a fraction of their current costs and companies with compute resources (like data centers) can monetize their storage and CPU without investments in software infrastructure. How did you come up with the idea for AnyLog? Throughout my career I have built platforms to manage Big Data. Prior to AnyLog, I was the founder of ScaleDB — a time series database. Through ScaleDB, I interacted with many IoT companies and projects and experienced the challenges in the IoT space. 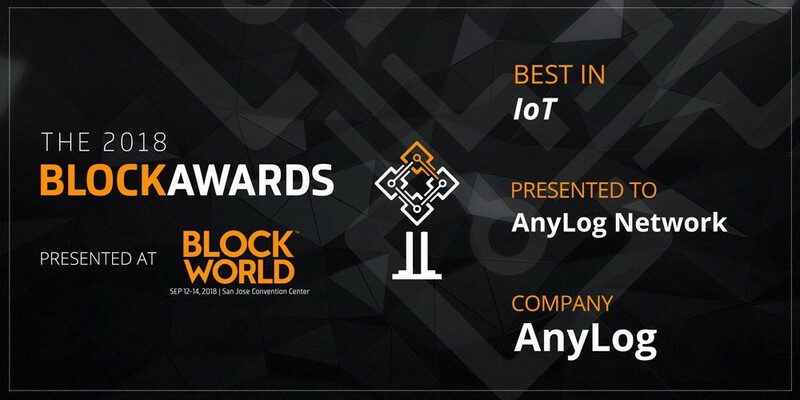 AnyLog was founded as I was inspired by blockchain technology and the value it provided to financial transactions and I realized that a larger value exists with data transactions and that through decentralization, IoT can be efficiently and cost effectively managed. The enormous potential value was the driving force that motivated us to start the AnyLog project. The AnyLog team includes some of the world’s best researchers and industry experts. 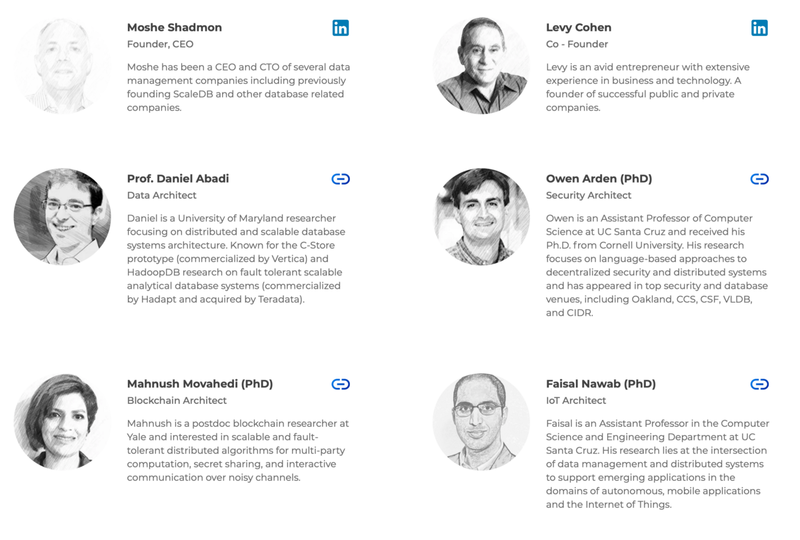 The team experience spans multiple disciplines including database, blockchain, IoT and economics. The team members believe that AnyLog is a project that would change the way companies interact with IoT data. How will AnyLog change the landscape of IoT? Cisco say that 75% of all IoT project fail and that a core problem is that data is managed in silos. Frost and Sullivan show that 65% of manufacturers are deterred by high costs. And Gartner say that transferring the entirety of that data to a single location (Cloud) for processing will not be technically and economically viable and that there is a need for a new platform to manage IoT data. AnyLog is managing IoT data in a completely different way — rather than bringing the data to centralized databases, AnyLog distributes the data to the network. This approach overcomes the challenges that companies face with IoT data: AnyLog simplifies and automates the treatment of IoT data, it keeps the data secure and there are no scaling limits. Rather than managing data in silos, AnyLog offers a unified interface to the data and companies can interact with their data in real time. An immediate value to companies is that they can manage their data at a fraction of their current costs. The immediate value is that companies can manage their data at a low cost. But the longer-term outcome has additional value — AnyLog aims to create a new WWW for structured data (e.g., data that ﬁts in rows and columns of relational tables), with an initial focus on IoT data. Anybody can publish structured data to AnyLog using their preferred schema, and they retain the ability to specify the permissions of that data. Some data will be published with open access — in which case it will be queryable by any user of AnyLog. Other data will be published and protected by a key, in which case only users with access to the key may query it. In the same way that Google offers a unified interface to the website data, AnyLog would provide a unified interface to the IoT data. What is your AnyLog’s competitive advantage? There is no other company that is doing what AnyLog does. Companies like IOTA and StreamR do data subscription from IoT devices but they are not replacements for backend centralized databases. In that sense, these companies can register their data to the AnyLog network. Companies like Filecoin and StorJ are processing the data at a file level whereas AnyLog is processing the data like a database. Companies like Golem and Sonm are using decentralization to create a supercomputer, but AnyLog is unique as it is using decentralization in a way which is optimized for IoT data. It automates the processing of IoT data and supports real time interaction with the data and has no scaling limits. Ethereum Classic is interested to include IoT transactions in the blockchain and is building an Iot-friendly virtual machine. 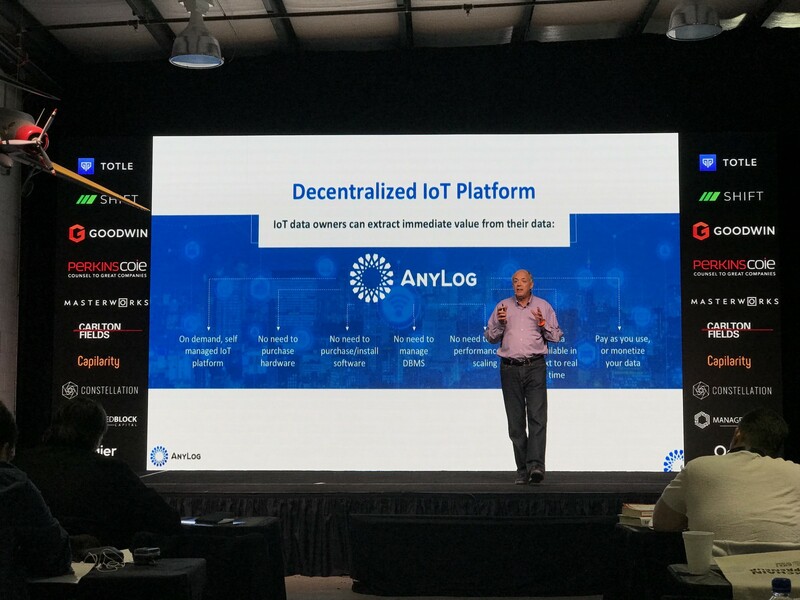 AnyLog is managing IoT data by a protocol on top of a blockchain that creates a decentralized network that connects IoT devices with data centers. This approach allows to manage IoT data efficiently and in a cost-effective way and therefore creates strong incentive for any IoT device to join the AnyLog Network and the ETC blockchain. AnyLog adds significant value to ETC — the AnyLog Network. Built on the ETC blockchain, it’s not dependent on the blockchain inclusion latency— there is no limit to the number of transactions per second that can be processed as well as the amount of data that can be managed. AnyLog with ETC can change the way that companies interact with data. ETC is a mature platform with a professional team that understands the opportunity of bringing millions and potentially billions of devices to interact with the blockchain. I believe ETC would be able to work together with AnyLog to support the initial POCs and make the IoT devices members of the ETC blockchain and the AnyLog Network. Our next big milestone is working with first customers. We plan POCs with several companies that are interested to manage IoT data and several data centers that are interested to contribute resources to the network. These POCs would create global recognition to the project and we expect to closely collaborate with ETC throughout the POC processes.